Siesta Key Kayak Tour of Jim Neville Marine Preserve – COMING SOON! 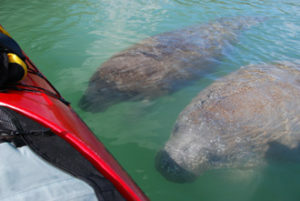 Siesta Key’s most popular kayak tour. Come on a kayak adventure in paradise. Paddle from Turtle Beach Lagoon into Little Sarasota Bay, just north of Casey Key. Follow your native Floridian guide through the Jim Neville Marine Preserve in search of birds, manatees, bottlenose dolphins and other wildlife that call these islands their home. FREE for 3 years old and under! 2.5-3.0 hours (times vary by day see Book Your Tour) *Must arrive at least 15 min early for your tour. Oh – and one more thing… YOUR DESIRE TO EXPLORE!